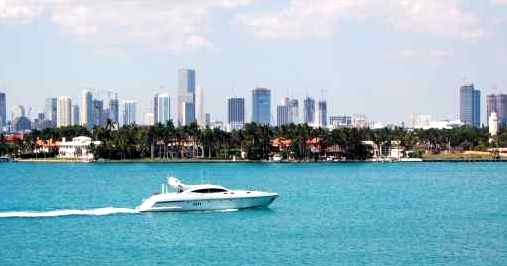 Miami led the pack as the cleanest city in America as the Sunshine State dominates the 2008 list by Forbes.com. Four metro areas ranked in the top 10 with Jacksonville (No. 3), Orlando (No. 4) and Tampa St. Petersburg (No. 8). With built in advantages of weather patterns that blow out smog with warm sea breezes, there are also city efforts for cleanliness as we reap the rewards during Florida’s population boom. The migration has been sharp in the Sunbelt, with Jacksonville growing its population 8% and Miami 11.5% since the beginning of the decade. Beyond health, cleanliness appears to have a crucial economic impact. Economic factors go into a person’s choice to move but a great reputation for clean air, water and streets seems to play a big part as well. Want to live where the air is sweet, the water is pure and the streets are clean? Try Miami Beach FL real estate, the cleanest city in America. Feel free to comment on your thoughts related to this blog. Myself and the many readers would love to hear from you! I continually add to my blog, and once you visit, you can be notified by email or by RSS feed (upper right column) each time I post a new article. locator lists this county as one of the most polluted. Air quality is a huge health factor for urban dwellers, so we made it a very big deal in our study. To determine the cleanest major cities in the U.S., we initially measured the rankings for air pollution and ozone levels among all 49 U.S. metro areas with populations exceeding 1 million, using data from the American Lung Association. After eliminating those areas that ranked poorest in air quality, we measured the remaining 29 cities on the additional but less-weighted factors of water quality and per-capita spending on Superfund site cleanup and solid-waste management. From this list, we drew our top 10. With 10 minutes of further investigating on ScoreCard’s website in comparison with Los Angeles, Miami Dade (33139) shows as “No manufacturing Facilities” then “No waste sites in DADE County.” Then again the last testing was done by ScoreCard in 1999 almost a decade ago!